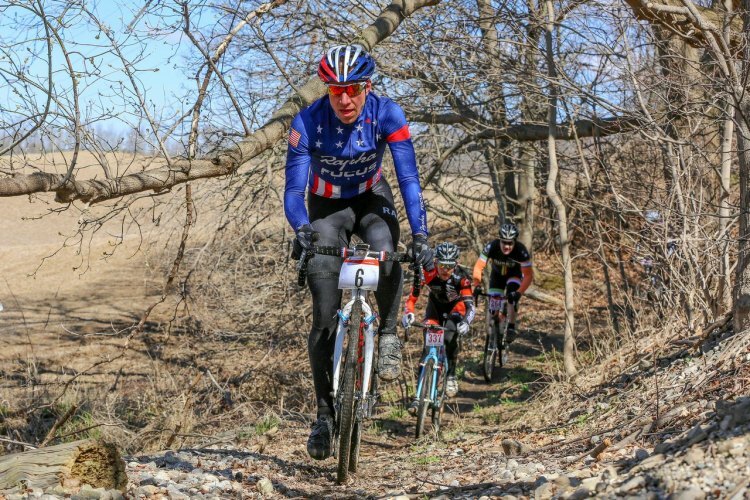 The gravel season is well upon us, and in a young tradition stemming from last year, Christine Vardaros offers a rider diary of the full experience of the Paris to Ancaster race. She journeyed to Canada once again with Ellen Van Loy, with both looking to defend or improve upon their podium finish from last year. You can find the race results for the Paris to Ancaster race here. They say that gravel racing is the next biggest trend in cycling. I never would have believed it if I didn’t experience it myself. The thrill of finding that sweet wheel to hold onto, the heart-pounding moment when you just miss that boulder hidden deep in a muddy descent, or when you’re legs are burning so much on that final climb that when you turn the corner and see the finish line you can’t help but grin from ear to ear while letting out a sigh of relief. And then there are the steam of interesting battle stories to be heard at the finish, each one completely different. Somehow, even though we all cross the line totally spent, there is always enough energy to tell your story to anyone who will listen. This was the second year in a row that Belgian crosser Ellen van Loy (Telenet-Fidea) and I have raced in one of the biggest of these gravel events. 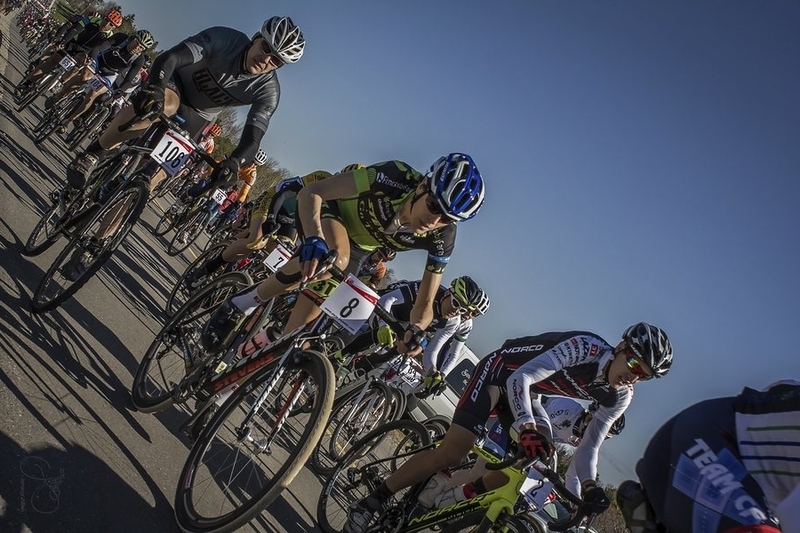 It was the 22nd edition of Paris-Ancaster, located in Ontario, Canada and boasted a participation of well over 2000 cyclists split between the 20, 40 and 70km course options. It is organized by John Thorpe and Tim Farrar, two of the most laid back yet hard working guys I’ve ever met. The race had it all from treacherous muddy descents to challenging singletrack, along with the wide open gravel roads riddled with potholes to keep you on your toes. At the finish, I too had my own version of the P2A battle to share with anyone within earshot. We flew in on the Thursday instead of Wednesday as we did last year. Without that one extra buffer day to spread our events over, our trip became a whirlwind tour, jam-packed with happenings right up to race day. Our journey began at the Toronto Airport where Alex Sanna of SRS (Soigneur Race Services) collected us. He was a huge help to us last year so it was really great to see his smiling face. Once dropped off at our five-star host housing of Marc and Joany located on the infamous Bruce Trail in Dundas, we were treated to a gourmet organic smorgasbord that included almost every buffet item from Whole Foods, mainly vegan with me in mind. Then it was off to bed at 10:30 which was our equivalent of 4:30 in the morning. The next day we rode over to the Ancaster Community Center to join 20 other cyclists for the VIP pre-ride of the last 15 kilometers of the P2A course. Mostly everyone was on a cross bike. There were many recognizable faces present such as Canada’s cyclocross star Mike Garrigan, US National Champion Jeremy Powers, Canadian Peter Glassford, Cyclocross Magazine’s former editor Molly Hurford, co-P2A-organizer John Thorpe, last year’s winner Anthony Clark, British crosser Gabby Durrin, Scott Smith and lastly Sue Palmer-Komar – a two-time Olympian and former Canadian road and time trial champion. Talking to her you’d never guess that she is one of cycling’s bigwigs. It was really fun to play on the course with no pressure, only socializing. As a chatterbox, I had to make sure I didn’t smack into a pothole, take myself out in a loose turn, or endo over a branch buried deep in the middle of P2A’s spectacular mud-chute like I did last year. Job well done; I remained upright. Even so, my bike and I were a glistening brown by the end. Immediately after the ride it was a quick turnaround to get to the VIP party. We headed over with our hosts Mark and Joany in their brand new Tesla. We were glad he gave us the 3-2-1 countdown before he put “pedal to the metal”. It took a full ten minutes until we were able to wipe the silly grins off our faces. The party was held in an open warehouse space containing a thousand bicycles. These bikes were built for the Hamilton, Ontario kids in an effort to get their upcoming generation to use bicycles as transportation. It is an initiative of the “Bike for Mike” (bikeformike.org) program, founded in honor of Mike Chamberlain, who was an avid cyclist and world traveler whose love and passion for adventure carried him to some of the most breathtaking bike trails around the world. After he took his own life in 2010 due to clinical depression, his father started up this program to help raise awareness for Mike’s dream of making Hamilton a more cycle-friendly city. The story continues on page two using the tab below.